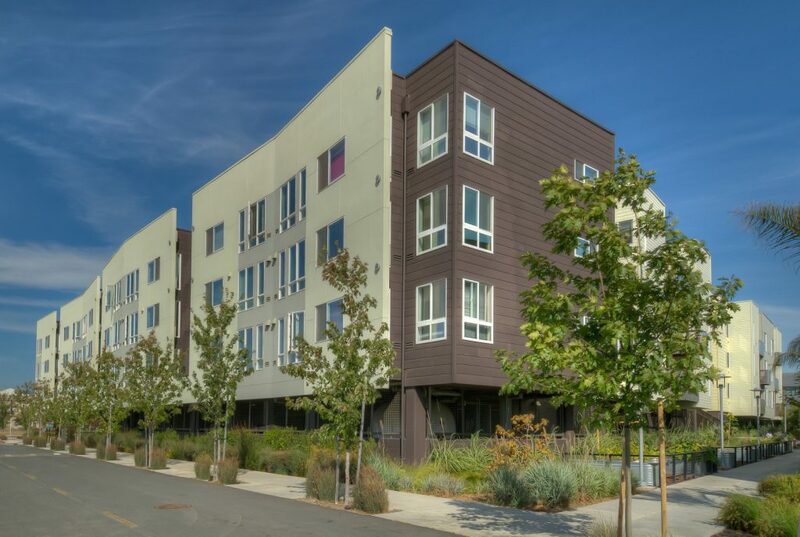 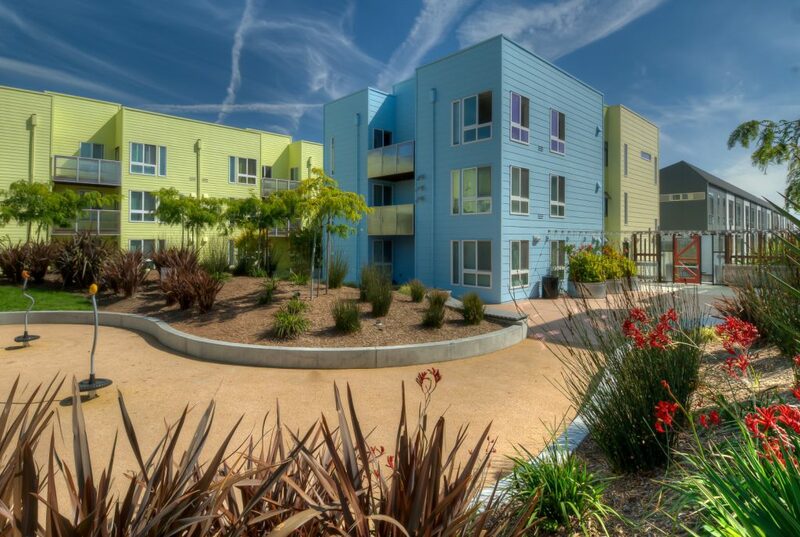 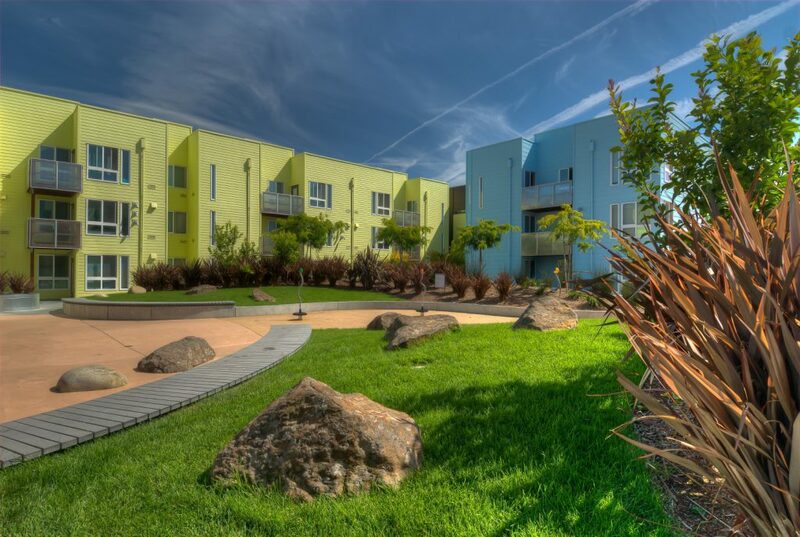 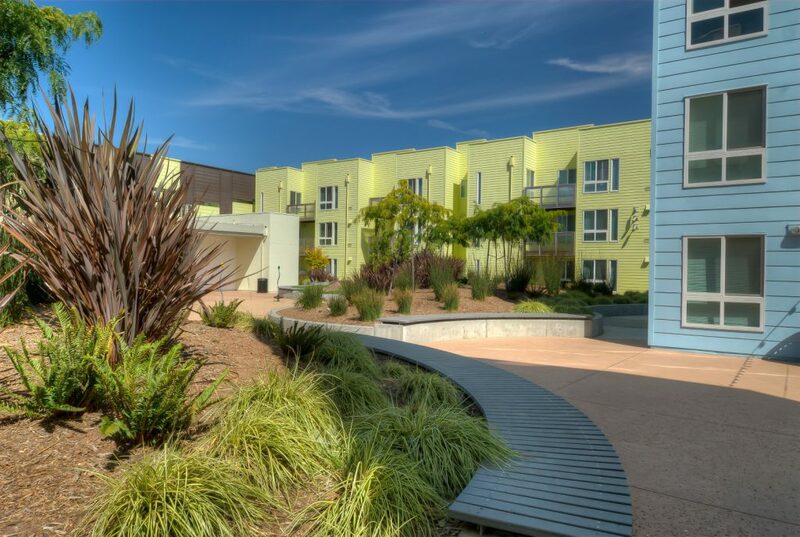 Ironhorse at Central Station is a 99-unit affordable housing development located on the site of the old Wood Street train station in West Oakland. 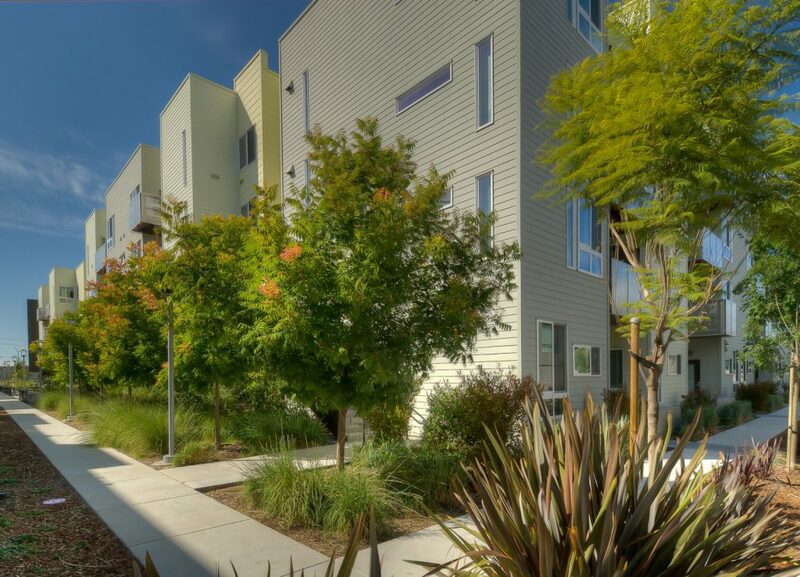 The development is Bay-Friendly and Green Point Rated and serves as a key component in the regeneration and redevelopment of more than 29 acres of abandoned former industrial land into a viable, livable community. 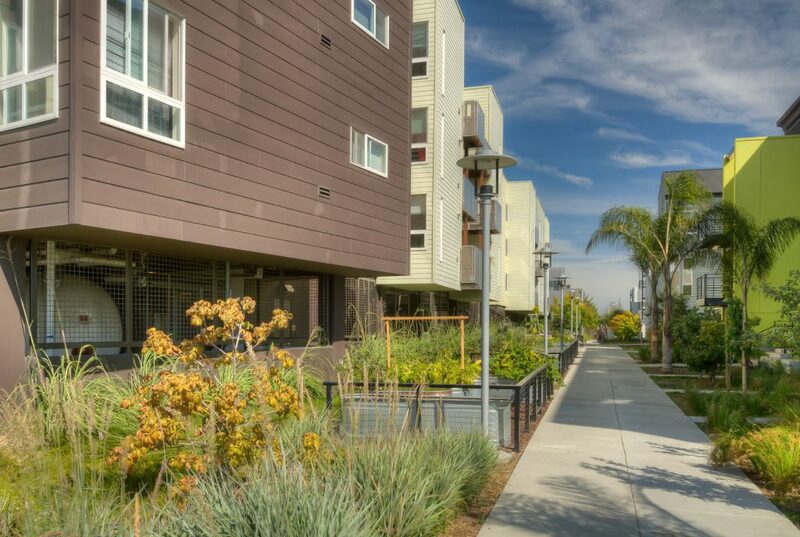 Collaborating with David Baker & Architects, PGAdesign integrated numerous sustainable design features into every aspect of the outdoor spaces. 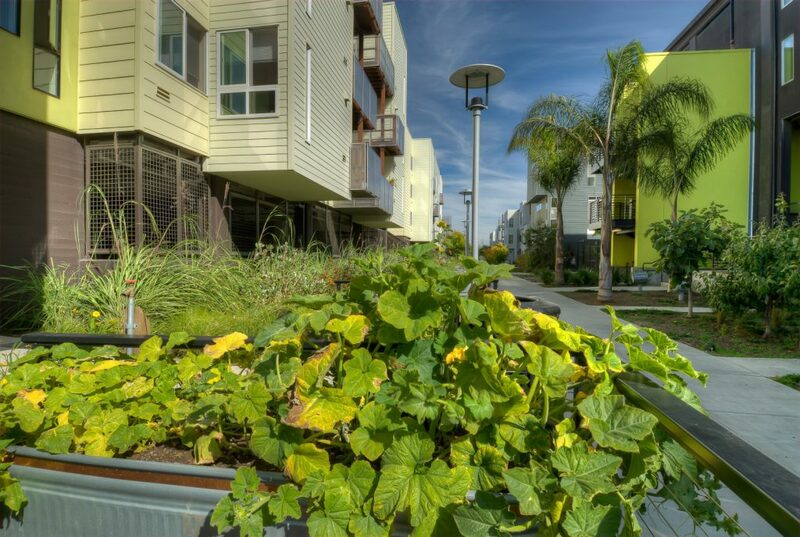 75% of plants specified are climate adapted or native and were selected for their ability to weather the tough urban conditions. 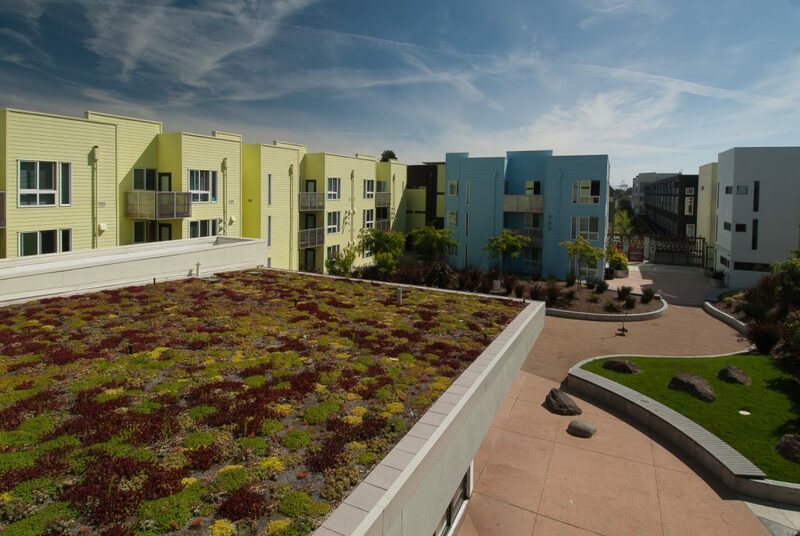 A portion of the building’s roof has an extensive roof garden while an at-grade bio-filtration area treats stormwater from the roof — a testament to the fact that stormwater treatment measures can be installed in tight spaces.